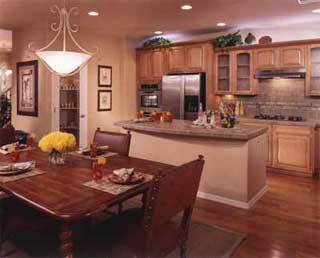 Madison Grove Las Vegas homes in Providence real estate by Toll Brothers offers homes from the mid $500,000s. Providence is a master plan community in North Las Vegas, Nevada. The two story homes for sale have selected features including balconies, courtyards, turret foyers, Roman tubs, great rooms, dining rooms, lofts and game rooms. Madison Grove homes in Providence Las Vegas real estate has three new homes for sale in the north Las Vegas newly developed master planned community. The grand opening of these homes by Toll Brothers was yesterday. Highlights of the Madison Grove homes include turret foyers, dining and great-room areas, balconies, courtyards, lofts and game rooms. The Bellini, Trapani, Botticelli home floor designs will be featured in Providence real estate. These new homes for sale range from 2,600 to 3,500 square feet, the two story, three or four-bedroom new homes are priced from the mid-$500,000s. Providence real estate is 1,200-acres and is located at Interstate 215 and Hualapai Way. Providence promotes an American spirit theme, with its trails and parks named after traditions and figures in American literature and sports. Franklin Park homes in Providence Las Vegas real estate by Toll Brothers starts new home sales in two collections. Franklin Park homes for sale are priced from the upper $400,000s. The Balboa Collection in Providence real estate in Las Vegas offers from 2,494 to more than 3,000 square feet. Miramar, Sonoma, Solano and Verano four, single-family, two-story homes floor plans are available. The homes for sale in Las Vegas, Nevada real estate feature decorator foyers, entry courtyards and entertainment areas. The new homes for sale highlights include expansive master suites, double ovens, kitchens with center islands, breakfast areas and walk-in pantries.